So you landed the offer! Congrats! Now you will need to tell your current company you are peacing out. Are you prepared for that? You would think it would be pretty straightforward, but here are some things you need to make sure you are aware of. Prior to giving your current company notice that you are leaving, find out what you need to pass in order to start at your new gig. This will likely include drug screening, fingerprinting, background screening, and reference checks. It could be all of them or a combination of one or a few. Now you may be thinking, it really doesn't matter because I know I am going to pass. As someone who has worked in HR for over seven years, let me tell you I have seen so many weird things come through. Mistaken records filed, things that are just completely wrong or something one company has been fine with in the past isn't ok with another. Companies are willing to wait for you to clear before you give notice. If you run into a company who doesn't want to allow you that time, I would think twice about joining them. Find out if your company pays out vacation time once you have resigned. If you have a ton of days left, it may make sense for you to take a few days before you put in your notice. Don't expect your manager to let you take a week of your notice period as vacation. If you are bonus eligible and you are in the season of payouts, don't put in your notice until the payout is in your account. Many companies have policies that allow them to pull a bonus upon resignation, even if it has already been communicated to the employee. Be prepared for some serious awkwardness for your two week notice! You are still part of the team but not really. You will have to tell everyone that asks you a question that you will be leaving. Tons of conversations about where you are going and why you are leaving are definitely in your future. Focus on wrapping things up that you are currently working on to get through it! Make sure you leave everything in a good place for your colleagues. You will want to make sure you keep your connections for future opportunities. Showing you aren't someone who leaves your teammates in a bad situation will go a long way for your character. Figure out when you will get your last paycheck from your current company and what the estimate will be. Ask your new company when you will receive your first paycheck from them and what the pay period will be. There will likely be a gap, so you will want to make sure you know when and how much is coming. This way you can plan your bills until you get back on a regular pay cycle. It may also be smart to rearrange when you pay bills to align with your new pay cycle. Another thing to find out is if your first check will be mailed to you or if the company does direct deposit from the start. Knowing these things before you resign with your current company will make the transition process a lot less stressful. You can focus instead on crafting a perfectly constructed farewell email and getting your mind right to being your next chapter! 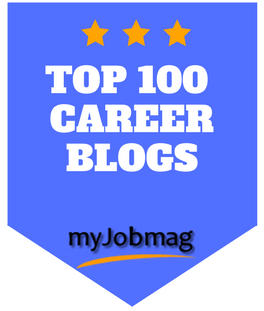 Check out additional articles on job searching! Sign up to get your free Career Jumpstart Email Series today! You will also receive occasional emails from me with career advice and tips.